Welcome to the Dec. 3rd edition of Tuesday Couch Potatoes, where we post about a movie each week. I know I am too late in posting this entry as I have been pretty occupied due to Samantha's hospitalization. But for the benefit of those Couchers who religiously posted their TCP entries last Tuesday, I am making up. Better late than never. Last week's theme was Animals Rule! and I guess, it should have been Dogs Rule! because most of the entries were about dogs. Shelo of Real Garden featured Homeward Bound, an adventure of a golden retriever, a bulldog puppy and a himalayan cat. Head on over to Real Garden to find out what it's all about. This week's theme is Superhero Movies. If you love damsels in distress, knights in shining armor with superpowers, extraordinary abilities and skills, adventures and fighting villains, then this theme is for you. While I was growing up, Superman has always been my favorite superhero. I have seen almost all movies and TV series related to this superhero from the planet Krypton. I have religiously watched Justice League, Lois and Clark, Smallville, the Superman cartoon series, and of course, the films. The latest I have seen was Superman Returns. 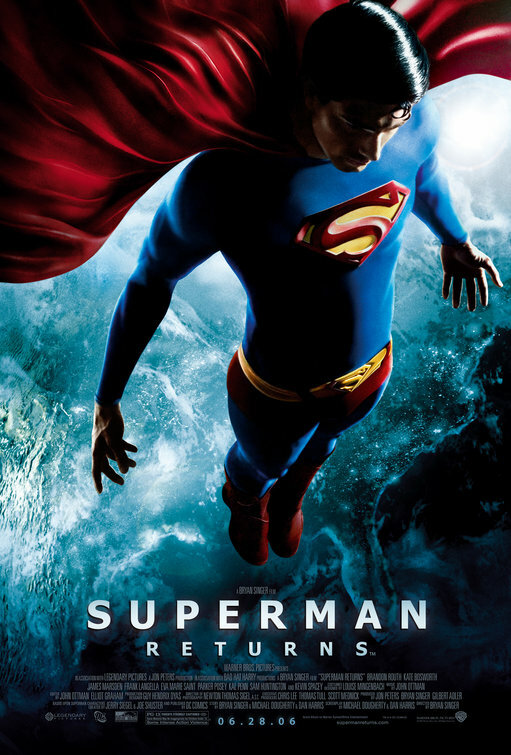 There are still more Superman movies coming out, like the one entitled Superman: Man of Steel which was announced to come out in 2011. Now that's something for all Superman fans to look forward to. Next week, we will feature Great Outdoor Adventure Movies. Come and share your adventurous side with next Tuesday, December 8th here on Tuesday Couch Potatoes. Till then friends! Have a Happy Thursday! how is sam? hope she is better na!